Queensland’s richest man plans to reopen a metal project and pay staff all money owed. Mining magnate Clive Palmer said a recent recovery in commodity prices will make it economical to restart his Yabulu Nickel Refinery in Townsville. Palmer promised the proponent, QNI Resources, will repay debts estimated to be worth $300 million to creditors who were left out of pocket when the refinery suddenly closed in 2016. He also said up to $70 million in outstanding entitlements will be paid to the 780 former employees who lost their jobs at the refinery three years ago. Palmer made the announcement ahead of his pending selection as a federal election candidate for the Townsville seat of Herbert, which Labor’s Cathy O’Toole won by a very slim margin of 37 votes back in 2016. QNI Resources urged the Queensland Government to approve the company’s port, rail and plant infrastructure proposal to help the refinery restart operations. “Now is the time for the premier and her government to do their part and get behind securing approvals, so the refinery can be recommissioned and the good people of Townsville can have jobs,” QNI managing director Nui Harris said in a public statement. 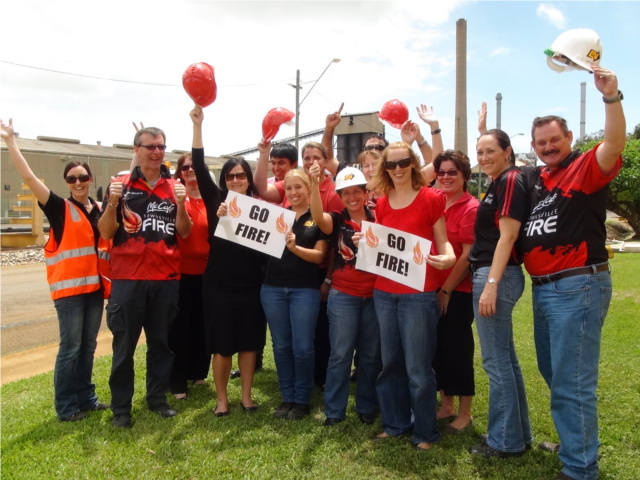 Harris also urged Townsville Mayor Jenny Hill to support the project so people can return to work as soon as possible.